The newest member of the GP family, Brandon heads into the depths of an ever-changing dungeon in Capybaras' most ambitious title yet! When I was first asked to review Below, I was keen to take on a title that was outside of the ubiquitous first and third person shooters that dominate the industry. Growing up as a kid in the 80's I clocked in some serious hours of The Legend of Zelda, so some of the early comparisons made between Below and TLoZ were enough to pique my curiosity. 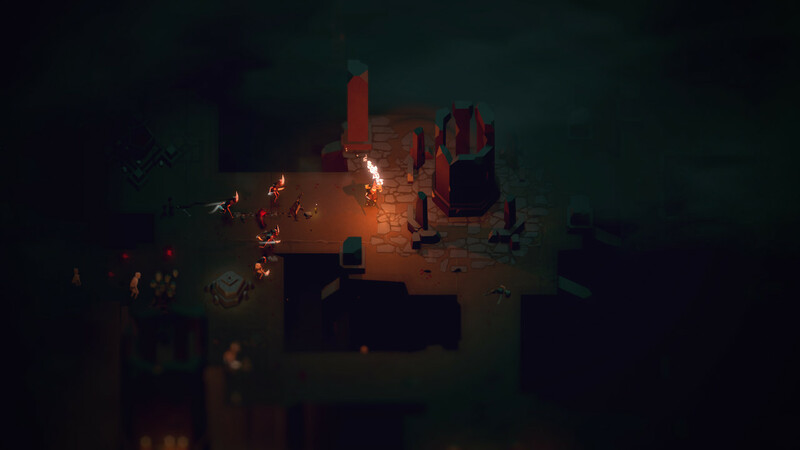 Below is Capybara Games' modern rendition of what is now referred to as the classic "Roguelike" RPG sub-genre. Long anticipated due to its initial announcement at E3 over five years ago and uncertainty over which studio would publish it, Capybara ultimately decided to self-publish. Capybaras' team would take the next several years to devote the necessary time and effort into designing a game of epic proportions. 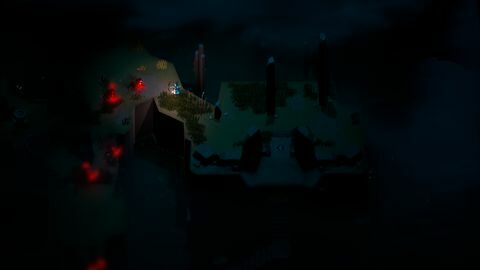 From the very opening scene, the game starts setting the speed with a dream-like glide through an expanse of pitch black sky, slowly descending over an endless ocean. Jim Guthries' musical composition compliments this out-of-body experience with an ethereal melody. Gradually a lone ship comes into view and our journey begins as we run ashore on a mysterious island. 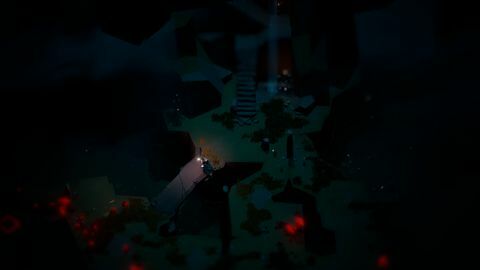 Uniquely styled with a "100-meter high" view of a painstakingly detailed environment, from this God-level perspective our tiny hero is centred amongst a vast landscape. Every visual element of the environment and its inhabitants appear miniaturised from our position in the heavens. It doesn't take much exploring to realise that our hero is completely alone on this desolate stretch of shore. This game is not for the uninitiated; there are no NPCs to tell you where to venture next, or what kind of quest you must complete to advance. 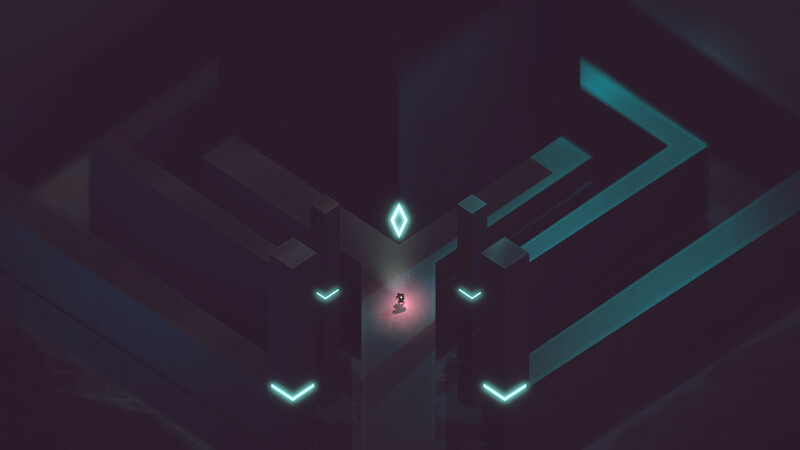 One of the more challenging aspects of this game is that you are required to figure out everything on your own, as the game does not provide any guidance, nor suggestions on how to proceed. Not everything you pick up will be beneficial, and sometimes the effects could be so subtle, you may miss it altogether. We start with a modest inventory of a sword, shield, bow, and bottle of water. Don't expect to find any towns or merchants here, any food or items we will need along the way must be scavenged or crafted with our heroes own hands. Foraging for edible plants or processing meat from random animals will provide a short reprieve from starvation, but learning how to combine these foods into recipes will greatly increase sustenance, and can even gain our hero temporary buffs. Not only will a decent supply of food and water be necessary for our excursion beneath the surface, likewise other critical items like torches, bandages, and arrows must also be crafted by combining simple objects. The crafting system presents its own difficulty, in that you must find out for yourself through trial and error which objects to combine to create other items or recipes, as well as how and when to use them and what they actually do. Not everything you pick up will be beneficial, and sometimes the effects could be so subtle, you may miss them altogether. After (hopefully) gathering some supplies top-side, we find our entrance to the first dungeon not far from our landing spot. Here in this dark underworld, light becomes an important part of our survival. 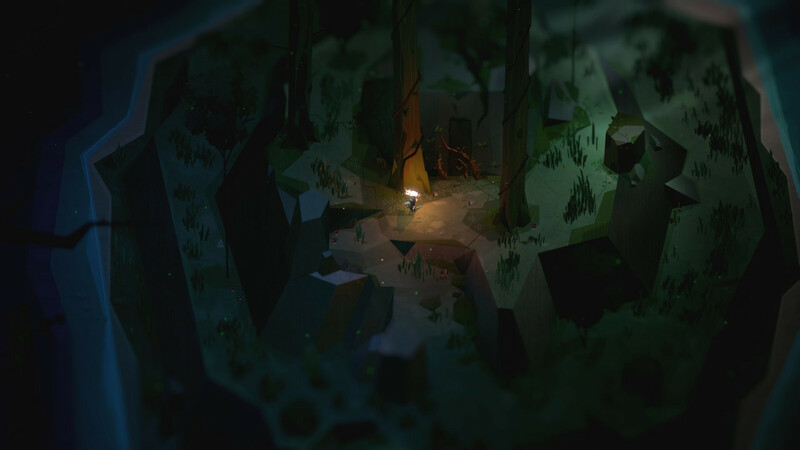 The further we venture into this deep labyrinth, the less ambient light is available to see our surroundings. 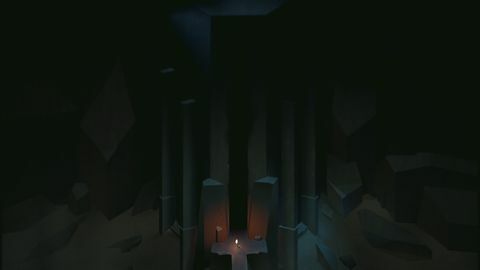 A torch will provide a few minutes of visibility when our lamp runs out of light gems (you did find the lamp right?!) but eventually, these too will extinguish leaving only the ominous red glow of the monsters' eyes to pierce the dark. Gather enough courage to slay these demons, and you will liberate the light gems so desperately needed to fuel your lamp. Death in this game can feel emotionally devastating, hours of preparation and exploration stripped away by one careless move. After a decent amount of time invested, I found the lack of "purpose" in the game to be a limiting factor in keeping my interest. Navigating through the depths is assisted by a simple dungeon map, but like everything else on this island, it is up to you to decipher its cryptic symbols. Don't bother trying to memorise the levels floor layout, every time our hero dies, the death is permanent and will result in a restart from the beginning, and a new hero destined for a randomly generated dungeon. By now some of you may be thinking... "If we start over with a new hero, does that mean I'll lose all of the supplies I worked so hard to gather and craft?!" Absolutely! There is no shortage of ways to die either, whether getting skewered by floor traps, overwhelmed by monsters, freezing to death, or simply dying from starvation or dehydration. Be prepared to die... a lot. Death in this game can feel emotionally devastating, hours of preparation and exploration stripped away by one careless move. Luckily, if you can find where your previous hero now lies in its random resting place, you can loot most of your inventory back. The abundant dangers of the dungeon coupled with the fragility of our hero force us to slow down, and forego risky approaches… but slow your pace too much at your own peril, as the hunger, thirst, and light clocks are always ticking. Each level our hero reaches, more difficulties are introduced and the stronger the enemies become. I found the combat system to be typically satisfying for this style of genre, although no new ground is broken here. In place of the usual storyline of saving the princess or defeating an evil archenemy, for me, the overall driving force for this game became "How far can I make it without dying, and can I make it all the way to the end?" After a decent amount of time invested, I found the lack of "purpose" in the game to be a limiting factor in keeping my interest. At times I felt like slogging through rooms full of similar monsters to be monotonous, especially when having to do it *again* after each death. Although there is the inclusion of a very simple check-point save game system, this too is limited in capability and will cost you light gems to activate. 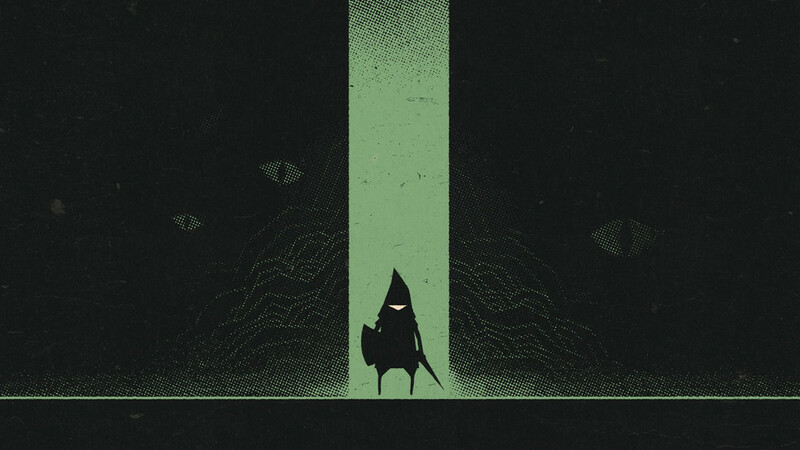 Overall, I found Below to live up to its reputation of being a fairly difficult game. At first, I was surprised to see under 10% achievement ratios as early as level 3, however after venturing a bit further, I understood why. Belowcommands patience, a keen eye, strategy, and a will of iron to not give in to the temptation to search for walkthroughs and how-tos online. I can see how easily less patient gamers could get frustrated and give up. The extra time Capybara put into development is apparent. This game is massive, both in scale and visually. Jim Guthries' soundtrack is beautiful, and a great fit that adds to the emotion of the environment. Fans of "Roguelike" RPGs should definitely check this one out, and I challenge every avid gamer to take a shot at this game without looking up a single guide, to see how deep you can go before getting stuck. Below is well thought out and strategically designed with high production value, culminating in a brilliant alternative to the glut of trigger-happy games on the market. I am truly looking forward to the next Capybara Games release, I just hope it won't take another 5 years in the making. Have you played Below? Have you considered giving it a try? Let me know what your thoughts are in the comments"Below"! Downs Combat can be repetitive at times. Harsh penalties for dying can be frustrating. Storyline and "purpose" is a bit lacking.